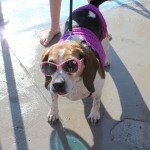 Bring your furry four legged friend for Fairmont Hot Spring Resort’s Annual Pooch Plunge! Every year Fairmont Hot Springs Resort shuts down their pools for annual maintenance, but the day before goes to the dogs! The Pooch Plunge is a community fund-raiser for Global Animal Lovers and ICAN. Clean up after your pets – bring poop-bags!